Rock On Postcard Invitations – With these awesome invitations let all your guests know what a rockin’ good time they’re going to have at your party! 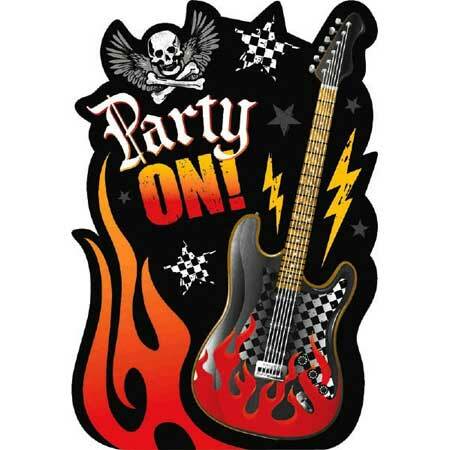 The invites features a rock n’ roll inspired graphic with the headline, “Party On!”. These unique postcard invitations will get everybody excited for your big rock music themed event! Includes 8 postcard invitations, 8 envelopes, 8 seals and 8 save the date stickers. Size: 6.5″ x 5″.